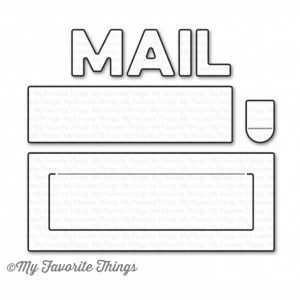 Mail Delivery Die-Namics by My Favorite Things. 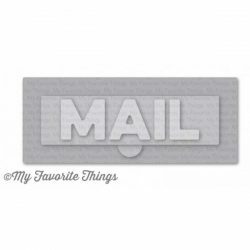 This set creates a peek-a-boo window and coordinating mail slot to frame it. 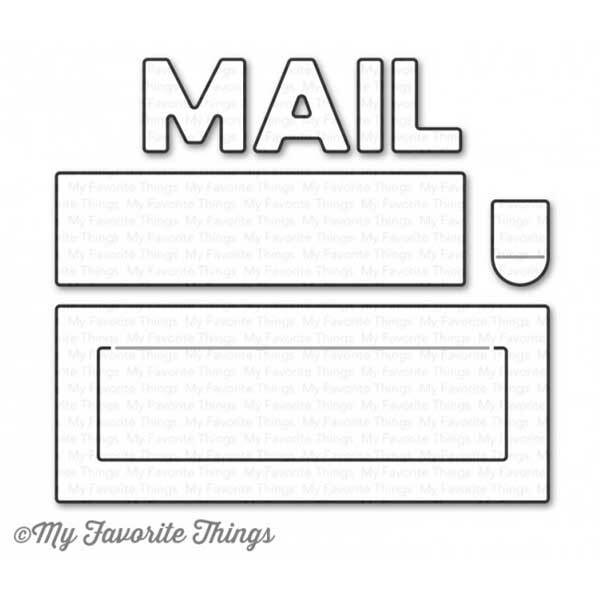 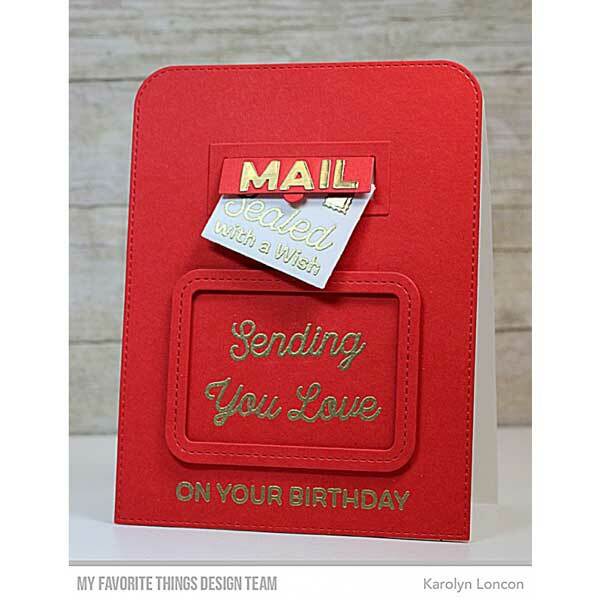 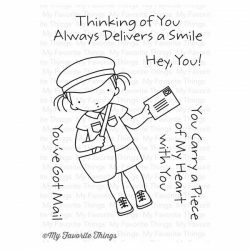 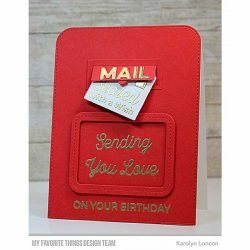 Add the included tab to the flap on the mail slot to act as a helper for opening it. The MAIL letters can be added to the flap or just above the slot assembly.